Red Rising Runway was the vision of renowned Indigenous fashion designer Helen Oro. Fashion designer Helen Oro is the visionary behind Red Rising Runway. 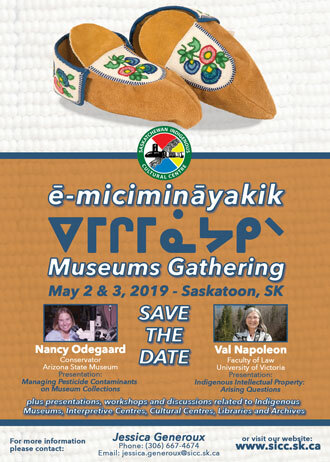 They are raising funds for Saskatoon organizations that are helping women leave tough situations or supporting the families of MMIWG2S/MMIP, with everyone donating their time and talents. Volunteer and advocate Rachel Fiddler helped obtain the Gordon Oakes Red Bear Centre as a venue. For some designers it was their first time. Award-winning visual artist Catherine Blackburn said that she’s not typically a clothing designer, preferring jewelry along with her visual art. Her work, New Age Warriors, is inspired by her late grandmother who was an amazing bead artist. Blackburn used plastic beads to speak to survival, resilience, and personal experience as an Indigenous woman who did not grow up on the reserve: honouring women and matriarchy through garment working, not women’s only role but one traditional role that deserves to be honoured. Other designers included Faye Thomas with her Red Spirit Woman Designs; Disa Tootoosis; Becki Bitternose; Tala Tootoosis, who also performed; Kyla Sanderson; and special guest from the US, Norma Baker FlyingHorse, who has designed gowns worn at the Oscars. As well as designers, there were spoken word performances, dancers, singers — something described as a night to empower women.